You are the owner or have permission from the owner to authorise PC Clinic Midlands for the repair of this computer. 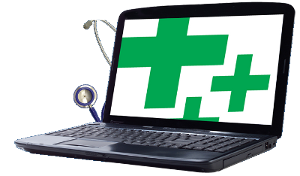 PC Clinic Midlands will make a brief non detailed examination of the PC at no charge (excludes case opening) and will issue a guide price for the work. However should the work required be greater than the estimate PC Clinic Midlands will issue a revised price to you prior to completion of the work. Full fault diagnosis of the computer is chargeable at £40 for desktops and £50 for laptops. All software should be legal and PC Clinic Midlands is not authorised by Microsoft to load their software apart from the original operating system unless you purchase or provide a valid legal license key and validation sticker. PC Clinic will occasionally have refurbished systems on sale but is not a retailer and does not carry a continuous stock. Sale of any item/s is subject to availability and pricing at the time of sale and no guarantees as to availability can or will be made unless the customer leaves a 50% security deposit. PC Clinic Midlands does provide at an agreed hourly rate a personal tuition service which can be purchased by mutual agreement with instruction provided in your home or business premises subject to agreement. Whilst all care will be taken during repairs, PC Clinic can not take responsibility for your data or programme settings. Should you decide not to proceed with repairs PC Clinic may at it's discretion charge for work undertaken thus far. Work will be charged at our normal hourly rate at the time of work. Payment - PC Clinic Midlands only accepts payment in cash or cheque on completion of the work. PC Clinic Midlands does not accept credit or debit cards. PC Clinic Midlands is not authorised to give credit and we don't allow goods to be removed without payment in full. Computers or parts thereof not collected within 30 days of work completion will be disposed of at our discretion.